Classic style of Murano glass bead with a little updating by our artisans in Italy. 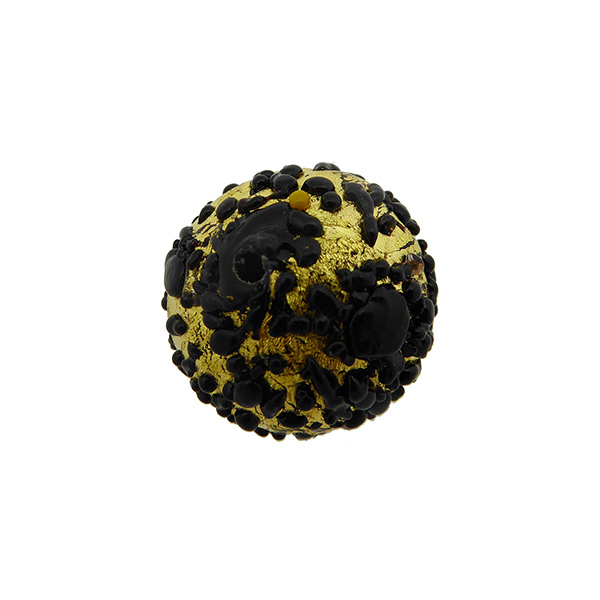 These vibrant beads are made with opaque glass base of black encased in 24kt gold foil and sprinkled with black frit exterior. This use of gold gives them a varying color. The size is approximately 16mm round.